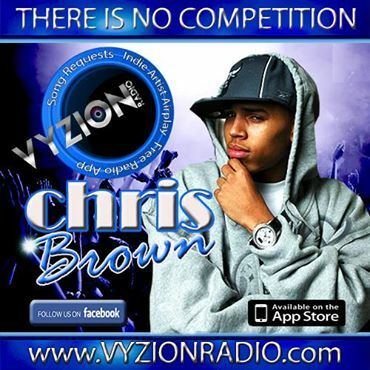 The FaceBook FanPage Of Vyzion Radio is a multi media tool that interacts with exclusive international models, woldwide DJ’s, fun blowout contests and up to date international entertainment news and events. At Vyzion Radio, We Provide Free Exposure To Exclusive International Models and entertainers who promote the radio station and have fun being featured on our site! Each day a specific model or entertainer is chosen as our elite Model Of The Day and is promoted on our facebook fanpage. Vyzion Radio houses over 40 worldwide Elite DJ’ who provide our 2.5 million a month listeners with the hottest music mixes 24/7 non-stop in all genres of music, r&b, GoGo, Hip-Hop, Soul, Dance, House, Reggae, Top 40 and Jazz. You can access the free Vyzion Radio player from our fanpage or you can go directly to our website at wwww.vyzionradio.com and listen while browsing through our sensational selection of international elite models, worldwide DJ’s and entertainment news. Our FaceBook Fanpage provides Followers Up To Date Information On Current Events, Posts Of Exclusive Interviews, A Variety Of Videos That Are Quite Popular With Our Fans. Our Mission Is The Objective For Vyzion Radio Is To Deliver Online Radio That Fulfills Entertainment For The Masses, this radio station Is Comprised Of A International Team That Is Delivering The Very Best Of Live Radio And Internet Radio. We Offer Free IPhone And Droid Apps. Internet Radio Is Very Important For Internet And Social Marketing, Vyzion Radio Is Where You Should Be Spending Your Advertising Funds To Boost Your Company’s Awareness. Vyzion Internet Radio’s National Office is located in the beautiful state of North Carolina, and Is Heard In 94 Countries And In over 2000 Cities.